Amanda is a community herbalist, the mother of three amazing children, the creator of Rootwork Herbals and a plant lover from way back who has been working and playing with herbal medicine for 20 years. She tends plants and people growing gardens, handcrafting remedies, offering consultations and teaching. 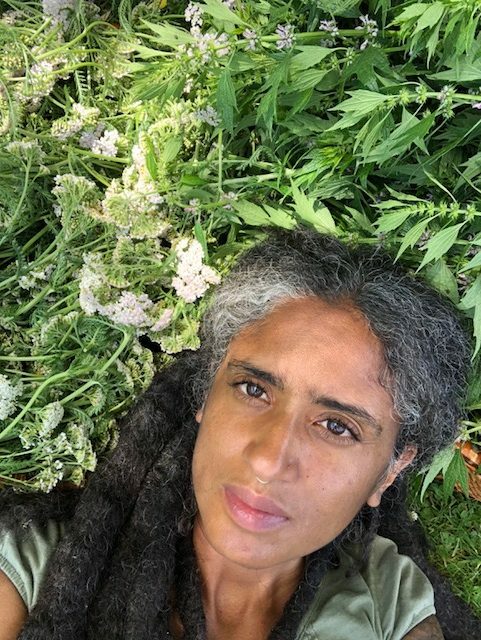 Her approach to herbalism is based in the folkways, on building intimate relationships with the plants that grow nearby in order to bring herbal medicine and home healthcare back to the people. In doing this, she sees herbalism as a means to rebel against oppressive systems, which undermine health. Above all, Amanda is a lover of plants and a lover of people and is passionate about bringing them together in a down to earth, joyful and accessible way that promotes personal and planetary healing.